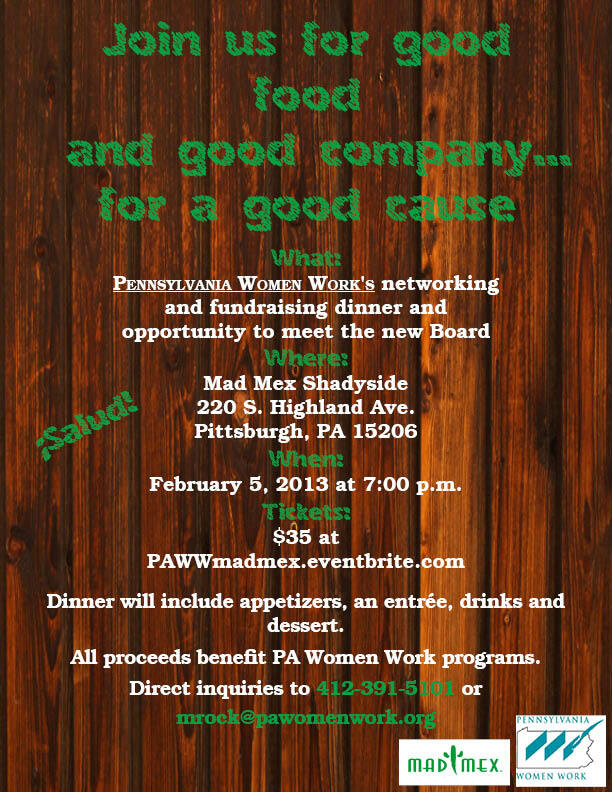 Pennsylvania Women Work is pleased to partner with the Big Burrito Group's Mad Mex restaurant to host this fundraising event. The dinner raised significant funds to be put towards Pennsylvania Women Work's daily operations and support the New Choices program. The event also offered the opportunity to introduce new members of Pennsylvania Women Work's Board of Directors and Corporate Advisory Committee. Thank you to the Big Burrito Group and Mad Mex for working with us to make this event possible! We'd also like to thank all of our Board Members, Corporate Advisory Committee Members and all other attendees of the event for your support. This event's success is because of your generosity!